Tourists to South Korea can expect a country proud of its cultural roots as well as a country blessed with beautiful topographical areas that only add to the diversity to be had within its many cities and towns. 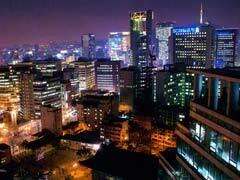 The capital of Seoul is home to a little less than 10 million people. Travelers to South Korea who find themselves in this capital city can visit the National Museum of Korea where over 220,000 items are on display, including a historical gallery, a children’s museum and an outdoor exhibit. Fine arts, paintings, calligraphy, clothing and food exhibits are also found here, to give the vacationer a wide range of Korea’s history and cultural significance though a variety of mediums. Namsan Park is located on Namsan Hill where travelers can climb up the steps to the top or take the cable car. The views are of the whole city and here you can experience fresh air amid the flowers and trees of the park, or go up the N Seoul Tower, which is built on a 262m peak. At 480m above sea level, this tower’s observation deck allows tourists to South Korea spectacular panoramic views and is lit up at night. 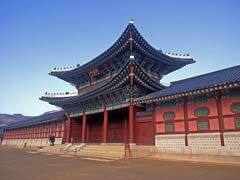 Gyeongbokgung Palace offers travelers to South Korea the chance to see the historical side of Korean royalty. Experience what life was like in 1300’s Korea where you can witness the changing of the guards throughout the day. This palace shares the grounds with the aforementioned National Museum of Korea as well as the National Folk Museum. Bakhansan National Park is an oasis in the city (well, not far from it anyway) that offers a great place to explore to get away from it all. Hiking trails taking you on various trips up the mountain to see temples, ancient fortresses and of course plants and animals make this a great way to spend the day out in nature while taking in the sights. Changdeokgung Palace is a 600 year old World Heritage Site that is a must see in Seoul. Secret gardens, history and the changing of the guard make this something to see. Lotte World, on the other hand is all about fun as it combines an amusement park with shopping, skating, bungee jumping and swimming which is a great family day out for travelers to South Korea. The city of Busan is located on the coast and offers tourists the Haedong Yonggung Temple which is located on cliffs overlooking the sea. This Buddhist Temple has lots of stairs but is a beautiful place to visit which is peaceful and near some scenic beaches. Taejongdae is a large park that has a tram to easily get around. Tourists to South Korea can witness the light house, cliff views, beaches, forested areas and of course the sea. With tons of activities to do within the park and views that are said to stretch to Japan, this park is an ideal way to get out and explore South Korea’s natural areas. For getting away from it all in a serene place, there is Shinsegae Centrum City Spaland. Here you are pampered and can experiment with all different pools or baths, some hot, some mineral, some cold, some massaging, etc. Along with saunas, spa services and outdoor pools, this makes a great attraction whether you have witnessed hot springs before or you are new to the idea. 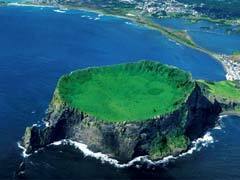 Jeju Island is located some 130 miles south of South Korea and is home to the Halla Mountain National Park. This volcanic park offers tourists to South Korea a look at dormant volcanoes and lava tubes, where lava once flowed, now are a network of caves. Baeknok Lake is on top of Mt. Halla which vacationers can hike to amid the lovely rock formations and various plants that can be found in the area. This area has been deemed a World Heritage Site. The Manjong Cave offers travellers a self- guided trip underground to witness the amazing formations and now cold lava flows that once dominated the area. It is a cool and dark area that offers respite from hot and humid days but does have a tendency to be drippy, especially in the rainy season. Travelers to South Korea are met with many wonderful things to behold, and some that may be a bit more thought provoking than others, such as the Adult Sculpture Park. Definitely not for the shy or easily embarrassed, and not for children, this park allows adults to walk amid the sculptures for a different type of attraction. 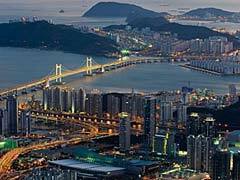 South Korea is an oasis in the Southeast Asia and The Pacific, giving tourists to the country plenty of outdoor activities, as well as cultural and historical points of interest to tour and learn from. Blending in seamlessly with the hustle and bustle of the large cities are the lovely surroundings and peaceful places that abound.